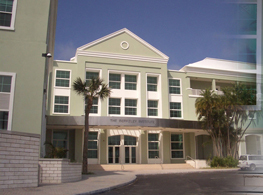 The Berkeley Institute is situated on Berkeley Road in Pembroke West, Bermuda. The school was founded in 1897, and moved from the Samaritan's Hall on Court Street to its present site in 1902. The Berkeley Institute is coeducational with a student population of approximately five hundred. The school has many excellent facilities that include five modern science laboratories, a well-equipped family studies department, a spacious art room, an inviting library, and a lecture theatre.